For pricing, please contact the organization that directed you to this page. Thank you! "Heather was a sensational hit at President Obama's second term Inaugural Ball. She is a world class entertainer." Interactive Close-up Magic is undeniably the most potent form of magic you can experience. This art form has also been referred to as "Mingling Magic", "Walk-around Magic", "MIcromagic" or "Strolling Magic". What miracles can you expect from Heather's Magic? A large soap bubble turns into a crystal ball in mid air, then roll it over the fingertips and around the arms then it pops; magically vanishing. 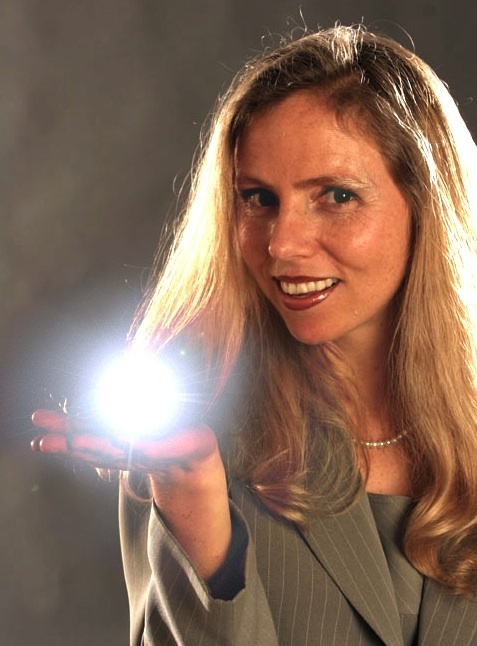 If you can bring Heather Rogers in to perform Close-up Magic at your event, your guests are in for an extraordinary 'adventure into the miraculous', they shall never forget. Visit Heather's Close-up Magic page to find out more. Heather's show is contemporary, hip and packed with variety. The show has real chemistry with audiences because it gracefully balances between the right amount of edge, inspiration and audience engagement. Another element that makes the show so unique is Heather's use of classic physical comedy and satire. Her playful physicality is reminiscent of the great ladies of comedy like Lucille Ball, Carol Burnett and Bette Midler. The astonishing and dazzling BANQUET SHOW, or a fully CUSTOMIZED COMDEY KEYNOTE that features the organization's history, heroes & high points. Magic, satire, physical comedy and audience participation are just a few of the ingredients that go into making a custom show land right in the pocket of delighted audiences. Productivity Keynote: "The Mind Mechanics of Peak Performance"
In this interactive, entertaining program participants learn practical tools that harness the quantum power of their mind toward the creation of new paradigms of possibility and productivity. Training Program: "A Meeting of the Minds"
Utilizing the power of the mind to generate a culture of innovation, creativity and stronger teams. Have your audiences seen it all? Are they eager to for entertainment that is fresh, exciting, interactive and hilarious? San Francisco Magician / Speaker, Heather Rogers, specializes in creating extraordinary experiences that are dazzling and playful, yet truly astonishing. The humor in her offbeat contemporary show, "The Mischievous, Magical Mind" lands right in the pocket of today's savvy audience. Heather's keynote program, "The Mind Mechanics of Peak Performance" explores the latest in Mind Science and delivers potent tools to stimulate productivity. She can also create a fully customized program that celebrates the culture and magic of your organization. A Corporate Magician with old-school charm, Rogers is extremely professional to work with. Heather is foremost among Bay Area magicians because she knows how to turn an event into a true magical success! How? She does it with magic, of course! Your Trade Show booth is a sizable investment. How can you make sure that it will pay off? Picture this common scenario: It is the load-in / set-up day and you see that the booths around you are bigger and have all the bells and whistles that make you aware of how competitive an environment the Trade Show floor is. You need to create a Buzz. You know that the 'human element' mixed with magic and an awesome presentation is stronger than any tech device or giveaway gadget. This is where Heather Rogers comes in. Connect visitors to your qualified staff of consultants to create lifetime customers and raving social media fans. Through Skype interviews and detailed research Heather digs in deep to understand your organization's goals and values, and takes this information to create a full script with customized signature magical effects unlike those commonly seen on the Trade Show floor. To find out more and learn Heather's 5 point formula to ensure Trade Show success, visit her Trade Show page. Then, to teach your Leaders and Teams how to 'Think in the Miracle Zone' - by optimizing their brain function and reaching peak performance states. All four issues can all be addressed and managed with Heather's Mind-tools Program and her "7 Steps to Miracle Zone Workflow" process. Whether your challenge is raising the bottom line, developing stronger teams, innovation or talent management; it all really comes down to the WORK CULTURE, ENGAGEMENT and MASTERING THE MIND. If your people are treated like valued creatives, and given mind-tools to 'maximize the moment', they will be more productive, happy, healthy and more inspired to co-create a magical working environment. Heather Rogers specializes in infusing creativity, innovation, productivity, and corporate culture happiness by unleashing the 'supernova power' of the MIND and building maximum ENGAGEMENT with Teams, Leaders and Customers. "Mind-tools to Get More Done, and Have More Fun!" - How to Think the Miracle Zone by maximizing your Mind, Mood and Motivation toward a collaborative culture that is a truly caring community. This game-changing program is a unique synthesis of Motivation, Magic, Humor, Customization and power-packed Content. In life, there are no bystanders. Your attendees are immersed in an EXTRAORDINARY MAGICAL EXPERIENCE that has been crafted just for them that they will remember, talk about and source, for years to come. Heather’s program, will not only help in optimizing workflow and maximizing the mind; it offers solutions for keeping ‘the right people on the bus’ while fostering their ability to push the limits of what collaborative cultures can do. 'New-paradigm organizations' that are close-to-the-pulse of change are allowing their talent to ‘become the technology themselves’. Cultivating highly intuitive players and streamlined procedures is the only way organizations will be able to keep up with the accelerating speed of business today and the surprises of tomorrow.